Over the past year and a half our kaizenprint.co.uk marketing has focused right across the length and breadth of the UK & Ireland. It’s already showed great promise and our customer base has risen dramatically beyond Belfast city centre. All throughout 2018 and beyond we’re pushing ahead with full steam to ensure our business plans are expertly executed and fulfilled. It’s our intention to position ourselves aside from other printers in Belfast and beyond as providers of high quality printing and so as part of our continuous improvement across all facets of our lives and business, we commissioned our design studio to create us an engaging and interactive campaign focusing on our key markets: B2B customers who require high quality printed materials for sales and marketing purposes. We’re absolutely delighted with the result which will air over the coming weeks and months right across the marketing and advertising arenas including: Print, Digital and on broadcast media. As you can see from the creative, we’ve stayed true to our brand, maintaining the fun, energetic and high quality values we instil in all our campaigns. Below we’ve not only attached the script to for our radio, digital and broadcast advert, but have embedded the actual creative for you to watch yourselves. We hope you enjoy watching it as much as we did creating it. 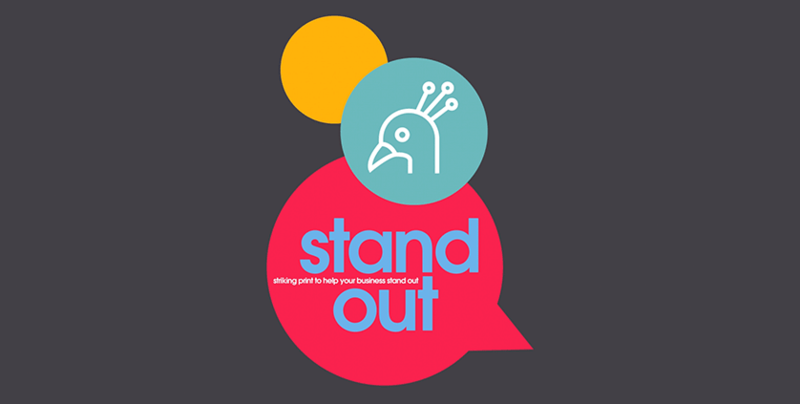 We’re Kaizen Print and we help your business, stand out from the crowd. Using our experience of working with companies, all across the UK and Ireland, we know businesses that use engaging, stand-out print, attract more of their targeted audience, raising their bottom line and increasing turnover. This is called, the peacock effect. Let us help you with effective eye catching print by Kaizen. Why fit in, when you could stand out. Our design studio Kaizen Brand Evolution created and developed this creative campaign. Utilising strategic campaigns like this, aims to increase brand awareness, focus on customer acquisition and ultimately increase sales. This type of strategy goes far beyond flyer design or poster design activities. If you feel your business can stand out with a considered design approach our design studio would only be happy to discuss your business further. And of course if you need high quality printing for your business, kaizenprint.co.uk would love to help.